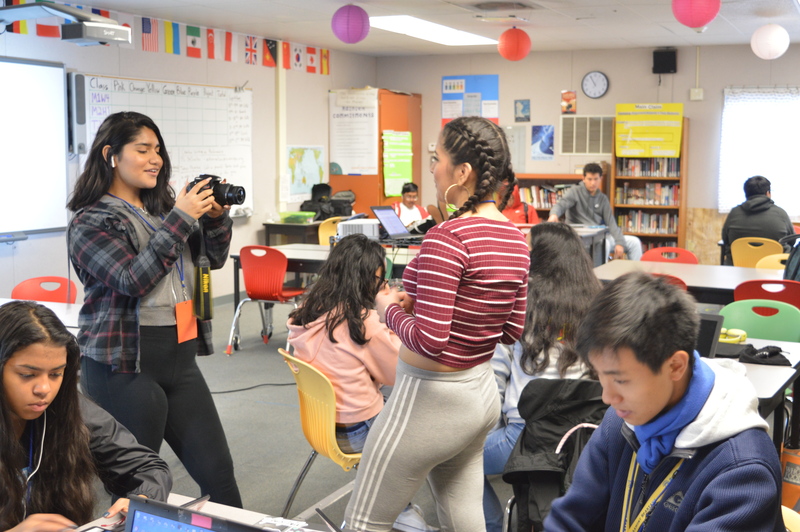 Here at Summit Public Schools: Shasta, the Intermediate Visual Arts and the Intro to Visual Arts teacher is Meridith Burchiel, and the Intro to Video Production teacher is Vincent Nelson. In these classes, students work on making videos, scripts, drawings, paintings and being creative. 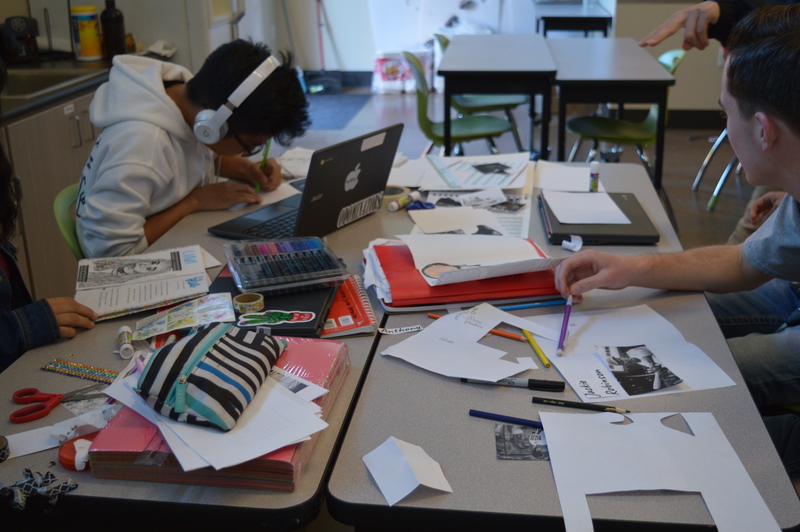 Summit Public Schools has six different art and design Expeditions this year, and students are required to take at least one in their four years at a Summit school. Many students who take art and design classes find themselves enjoying the projects, the teachers and the ability to express themselves. During this round, students in the Intro to Video Production class are making public service announcements related to sexual health. In Intermediate Visual Arts, students are creating their own logo and learning how to print them onto tote bags. In Intro to Visual Arts, students are making portable murals and learning about street art. Some students have experience before taking their art classes and take these Expeditions to improve their skills, like Shasta sophomore Alexa Huaman. Some students take these classes with no prior experience, but they learn how anyone can produce something inspiring. Kathryn Currier-Herzallah is a Shasta junior and an Intermediate Visual Arts student who gained a greater understanding of what she was capable of after taking an art Expedition. “Art has always been something I’ve been interested in, but I didn’t always feel like like I was super good at it,” Currier-Herzallah said. Learning and creating art also impacts the everyday lives of students, sometimes in a big way. Students have become more confident in their art skills and in themselves. The art teachers also want students to take away important lessons about art and more. Students’ attitudes can also change when they are creating something unique. They can become more calm, focused and happy. These classes change students, and the teachers really make an impact; after taking these classes, some students have also considered a career in the arts.